We are a Software Engineering firm that specializes in cloud architected business software and Information Systems. We design, build and support custom software solutions, provide software engineering consulting services, and manage cloud information systems. Our Managed Information System offerings are Cloud based software solutions that we configure, host and support on your behalf. These solutions generally don’t require additional IT infrastructure or hardware on your part. We host these systems in Public or Private Cloud depending upon your application requirements. These solutions can be accessed by you and your staff via standard computer web browsers, tablets and smart phones. Whenever possible we use and support open source software and provide a layer of service, support and hosting reliability you can count on. We offer turnkey cloud architected business solutions ranging from Project Management and Time Tracking to Content Management Systems (CMS) and much more. From startups, to large enterprise organizations, to small family run businesses, we have helped companies reach their business goals and ambitions with custom built software solutions. We design, build, and support software that has stood the test of time and helped companies be more successful for years. We take a pragmatic approach to software engineering and design systems to simplify business and technical complexities and provide value to you for many years. Scopestar is a Software Engineering firm located at the new Troy Innovation Garage in Troy, NY, and is led by Scott Stewart. We have been helping other Tech Valley businesses be more successful since 2006. Scott began working in computer operations in the early 90's and has been specializing in web-based business software since 2001. 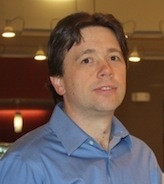 Before forming Scope Star Software in 2006, Scott was Manager of Information Systems for a large manufacturing and sales organization in upstate NY. He was CTO at a social network startup, managed a data center, and has led many successful software development projects and teams. "it's your code and you're using it wrong - mine's fine"